While it can be difficult for a man to lose his hair, it is at least socially acceptable. However, for a woman, this experience can be downright devastating. Confusion, fear, and social anxiety often set in, along with feelings of helplessness. If you are a woman reading this page, there is a good chance either you or someone you know is experiencing hair loss. When you come to Kathy Pope, we do our best to help you understand the root cause of your hair loss, and show you ways to stop the problem and help restore your healthy hair. Alopecia is more common that you think. Most people are shocked to learn that hair loss is actually very common in women, and follows patterns similar to male baldness. However, the actual causes can be much more elusive and complicated. Doctors and trichologists usually diagnose female pattern baldness through the help of a classification system known as the Ludwig Scale. Originally designed by Hamilton (the developer of the male-pattern baldness scale) in the 1950’s and modified by Ludwig in the 1970’s, this female baldness classification system is very useful in determining the actual extent of hair loss. Androgenetic Alopecia is the most common type hair loss experienced by women, and is more likely to appear in times of hormonal change such as pregnancy or menopause. Alopecia is generally identified by an overall thinning of the hair – in contrast to patchy loss. The Ludwig Scale can help you identify exactly which class of hair loss you are experiencing and to what extent it has progressed. It’s also a good way to visualize how your hair loss pattern may continue – if left untreated. Minimal or no recession of the hair line. Triangular, usually symmetrical, areas of recession at the front temporal hair line. In this presentation, the hair loss is primarily from the vertex (where the two sides of the hair meet in the middle of the scalp), with limited recession of the front temporal hair line that does not exceed the degree of recession seen in Type II. The front temporal recession is more severe than in type III. There is sparse hair or no hair on the vertex. The two areas of hair loss are separated by a band of moderately dense hair that extends across the top. This band connects with the fully haired fringe on the sides of the scalp. Type IV is distinguished from type III vertex in which the loss is primarily from the vertex. The extent of the hair loss pattern up to this point is at a crossroads. At these stages, it’s recommended to act swiftly in order to save, and strengthen, what hair you have remaining. For this we recommend an infra-red hair root stimulus treatment which is simple, safe and effective, and can be done in shop or at home option. The vertex hair loss region is still separated from the front temporal region but it is wider and more distinct. The band of hair across the crown is narrower and sparser. The vertex and front temporal regions of hair loss are bigger. Viewed from above, Types V, VI, and VII are all characterized by surviving hair on the sides and back of the scalp forming a distinct horseshoe shape. The vertex hair loss region is even more separated from the front temporal region and becoming more distinct. Overall, hair is becoming thinner and sparser. The distinct horseshoe is growing larger, appearing more a monk’s tonsure. In this presentation, the hair loss is primarily from the vertex with limited recession of the front temporal hair line that now exceeds the degree of recession seen in Type III. If you have reached these advanced stages of hair loss, then it is time to consider non-surgical hair replacement options. Once hair follicles die, it is impossible to bring them back to life or cause them to produce new hair. Kathy recommends coming in for a diagnostic evaluation to determine if you are suitable for hair replacement procedure. Kathy will walk you through the steps involved, as well as all possible options and the costs involved. 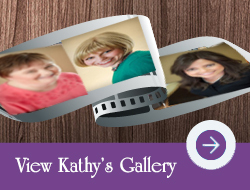 Please contact Kathy Pope to schedule a private consultation 570- 347- 6951.